Recipes | Jasmine Food Corporation Sdn. Bhd. Jasmine is all about great food, fragrant rice and healthy eating! 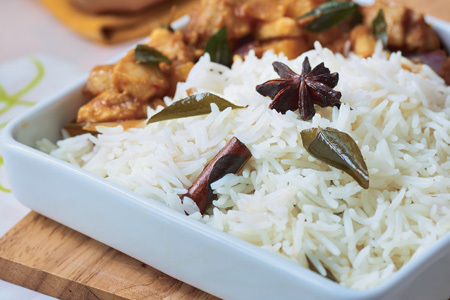 Come and discover a selection of great tasting dishes using our range of quality rice! A healthy salad dish with Jasmine BlackBerry rice, also known as the forbidden rice. 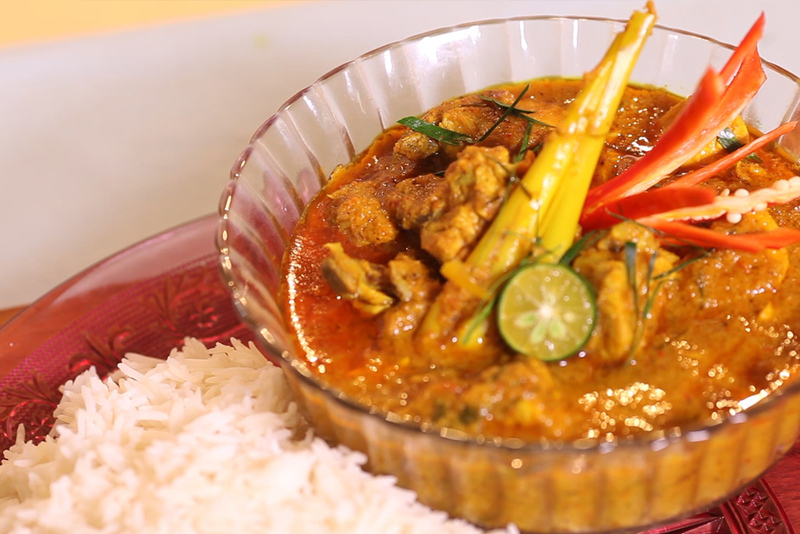 A must-have dish during the fasting month of Ramadhan and the festivity of Hari Raya. A delightful and healthy dish, it’s tasty, nourishing and easy to prepare. A delightful combination of quality rice with salmon and vegetable dressings. A taste of Korea! Experience the tangy taste of Kimchi with quality PusaGold rice. Tender chicken with PusaCream basmathi rice, crunchy nut toppings and veges to top it all. A traditional porridge all time favourite with Jasmine fragrant Sunwhite rice! Rice pudding with a difference! An exotic Turkish pudding delight. A favourite for the Raya season. Rendang ayam accompanied with PusaCream basmathi rice! 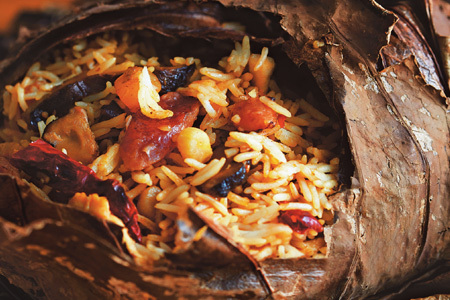 Yam Rice Basket – Savory rice dish made with yam (taro) and meat. 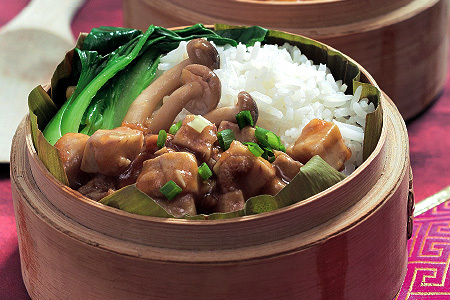 Yam (taro) Rice Basket is very delicious and an easy one-pot dish. 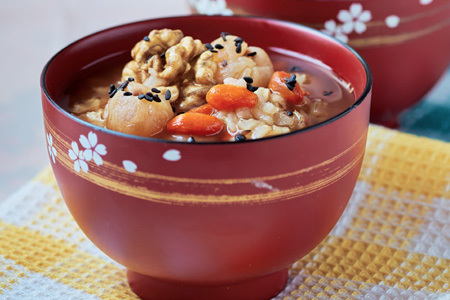 Brown Rice Porridge – A delicious and healthy combination of brown rice, dried longan, nuts and sesame. 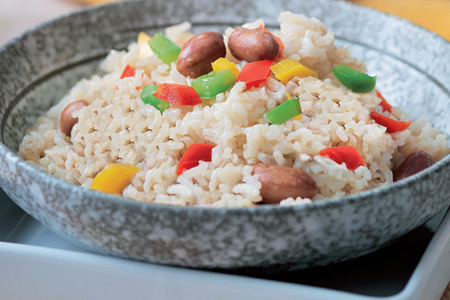 Braised Rice with peanut – A delicious combination of healthy brown rice, mushroom, peanut and capsicums simmered for the best taste. Rich in taste, chicken cooked to tender perfection, this curry chicken rice recipe will leave you wanting for more! 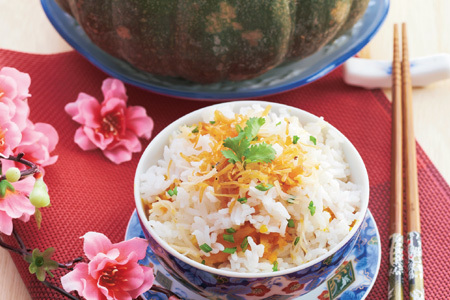 Taste the sweetness of the pumpkin with the fragrant rice of Jasmine! 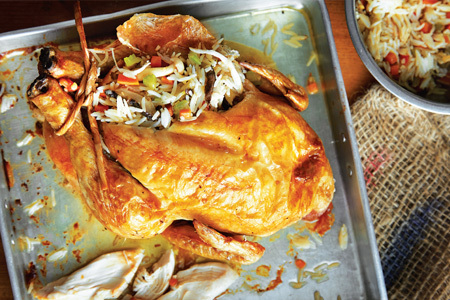 This recipe is a sure favorite among your guests. 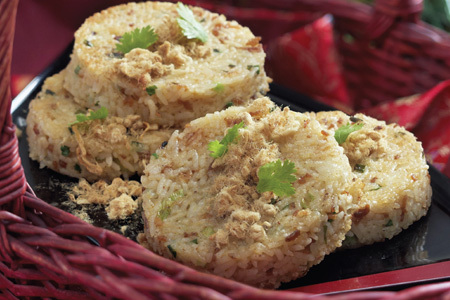 This must have rice dish for special occasion is easy to cook and is absolutely tasty! Taste the goodness of Basmathi rice baked with the nourishing goodness of chicken with capsicum, mushroom, carrots and butter toppings!